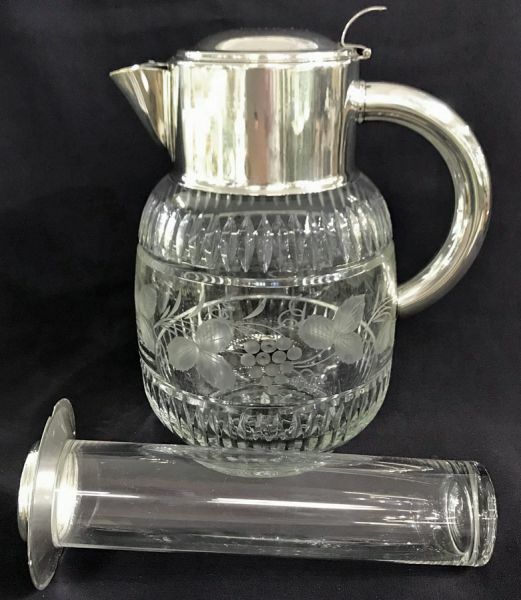 Vintage cut crystal water jug with silver plate mounts. West Germany, circa 1960s. There is a removable glass tube for crushed ice, so that a beverage can be kept cool without the inevitable dilution from melting ice. 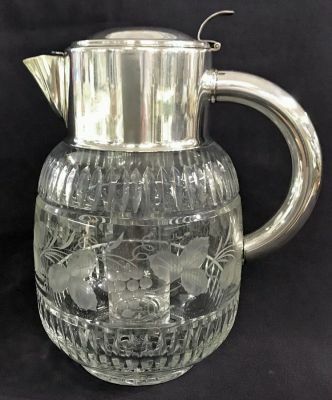 Perfect for iced tea or sangria. 10 1/4” high, 8” across the spout to handle.